Having a high-risk pregnancy just means that you need a little extra monitoring throughout your pregnancy because of underlying health issues or concerns. The maternal-fetal medicine experts and board-certified OB/GYNs at TLC Perinatal PA offer compassionate high-quality prenatal care if you have a high-risk pregnancy. You can book your prenatal evaluation at any of the practice’s offices in Silver Spring, Germantown, or Hagerstown, Maryland, by clicking on the online scheduler. You can also call your nearest office directly. Having a high-risk pregnancy means that you have underlying concerns that threaten the health of you or your growing baby, or both. Some pregnancies begin as high-risk. For instance, if you’re at an advanced maternal age — over age 35 — your risk of pregnancy, fetal, and labor complications increases. You can certainly have a healthy pregnancy if any of these conditions apply to you. It’s just especially important to check in more frequently with your OB/GYN to have preventive prenatal screenings and exams. How often do I need a prenatal exam during a high-risk pregnancy? For normal pregnancies, you usually have an initial prenatal exam after eight weeks, then monthly visits until your third trimester. By that point, you start seeing your OB/GYN every other week or even every week. But because having a high-risk pregnancy can jeopardize your health and increase your baby’s risk of congenital defects, it’s important to check in more regularly. If you know your pregnancy is going to be high-risk because of your age, weight, or underlying health issue, speak to your primary OBGYN to schedule an exam at TLC Perinatal PA as soon as you find out — or suspect — that you’re pregnant. Depending on your overall health and your fetal development, your dedicated OB/GYN could schedule twice-a-month visits or even weekly prenatal evaluations. You should always come in as needed if you have any concerns, feel sick, or notice changes in your baby’s movement. Do I need special prenatal tests if I have a high-risk pregnancy? In many cases, yes. It’s normal to need to go through several blood draws and to provide countless urine samples throughout your pregnancy. If your obstetrician determines that yours is a high-risk pregnancy, they will work with the maternal-fetal specialists at TLC Perinatal to get you the monitoring and testing you need. The MFMs will complete the requested tests and consult with your OB/GYN on the results and what next steps might be needed. 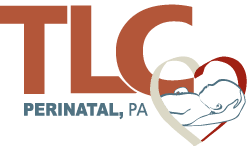 TLC Perinatal PA is home to some of the most advanced technology and most caring perinatologists, so you can feel confident that you’re getting comprehensive care for you and your little one. Schedule your high-risk pregnancy tests at TLC Perinatal PA today. Request your appointment online or over the phone.